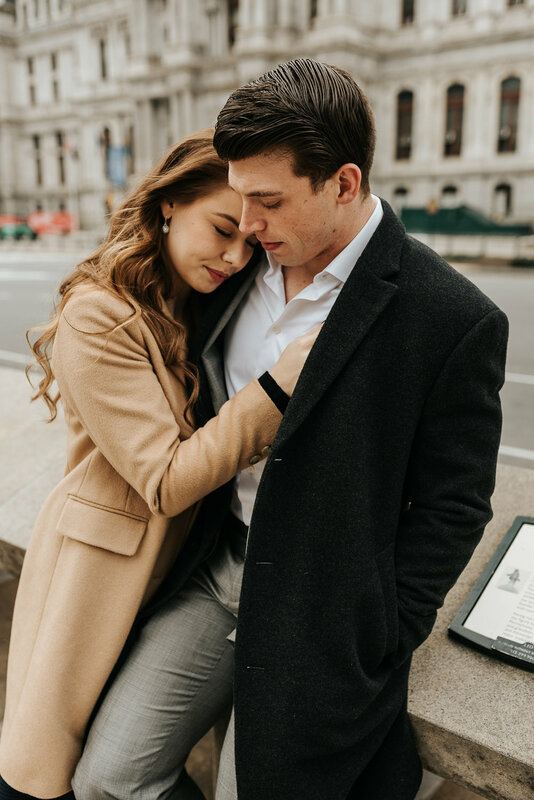 I met Courtney and Steve at City Hall on a brisk morning this past January and (along with the assist of a Philadelphia Taxicab driver) we channeled our inner Parisians to make some magic. Our goal with this urban couple session was to create a set of images that felt romantic and timeless on their own, and that would tell a familiar, nostalgic story when viewed as a series. I’d love to hear your thoughts and interpretation of the story this series tells. Let me know down below in the comment section! Oh, and if these lovebirds look familiar to you, that’s because I’ve had the honor of working to document their love TWICE! We shot our first session (this one), almost two years ago at Valley Forge National Park. Interested in scheduling your own intimate couple session? Let’s chat!